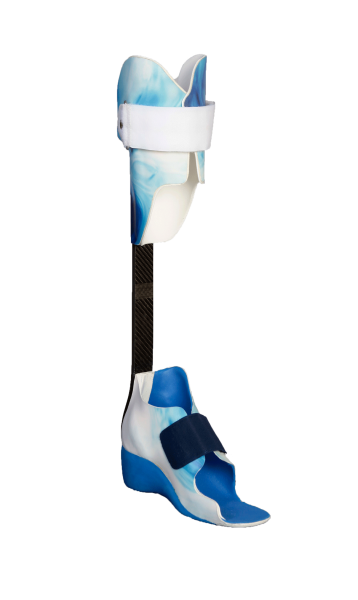 The carbon spring orthosis developed from prosthesis technology. The enormous restoring forces of the spring not only make walking very dynamic, running is also possible. Our customer successfully participated in the Paralympic Games. 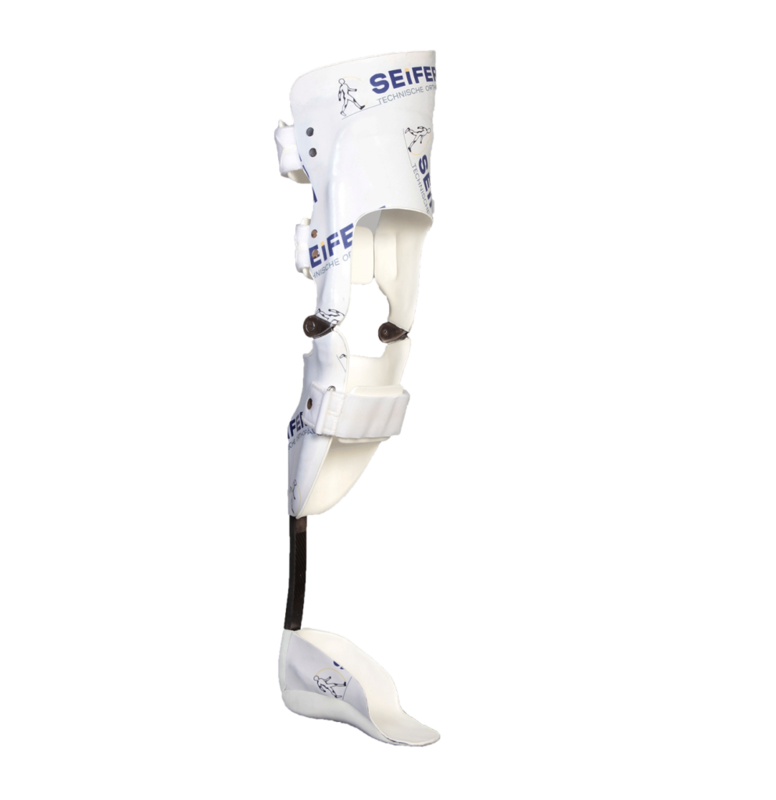 Strong leaf springs in the joint support both the foot-lifting and foot-lowering muscles and enable safe walking. 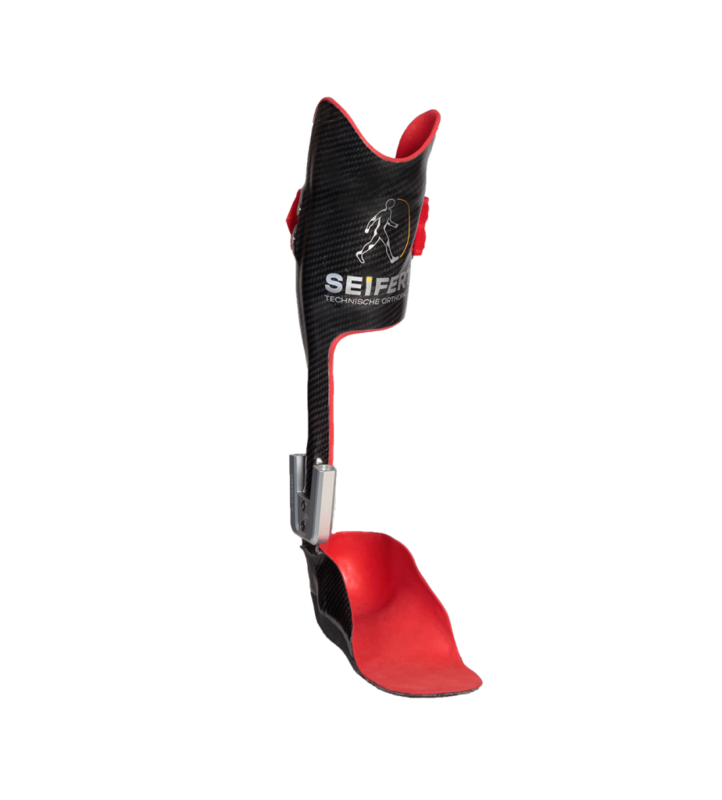 The thigh sleeve supports or corrects knee instability while the carbon spring brings dynamics. A good mixture for safe and active walking. Extremely light, yet stable and efficient. 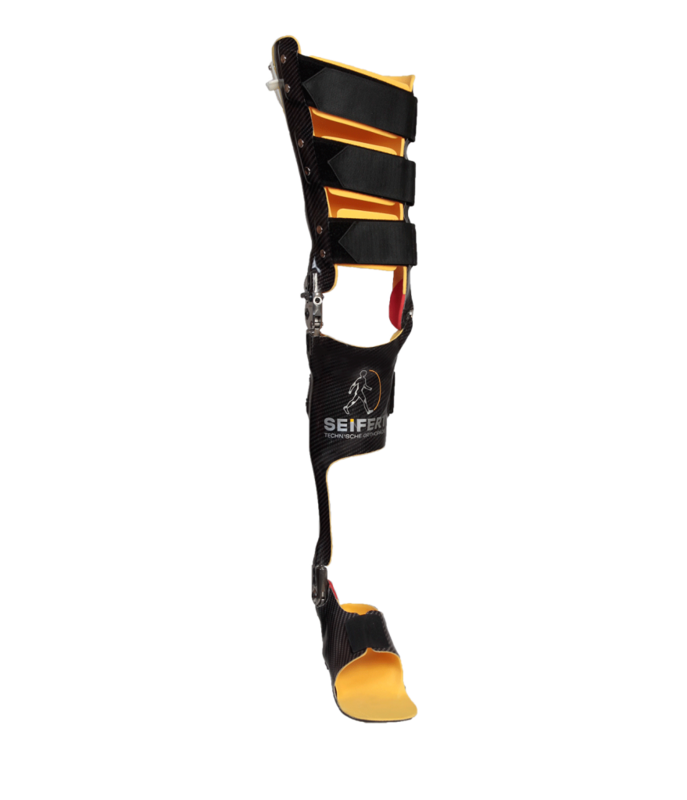 Thus your thigh orthosis becomes a helpful part of your life!